Distributed Proofreaders loves to celebrate special days, and holiday-themed projects abound among its contributions to Project Gutenberg, including well over 100 Christmas-related books. These come from just about every genre: Christmas novels, stories, poetry, and plays for all ages; inspirational books and biographies of Jesus; and accounts of Christmas legends and customs throughout the centuries in different parts of the world. Here’s a selection of twelve of these books, in celebration of the twelve days of Christmas. Lovely Christmas collaborations of famous authors and famous illustrators include Charles Dickens’s classic A Christmas Carol, illustrated by Arthur Rackham. Walter Crane wrote and provided rich color illustrations in A Winter Nosegay, a delightful little collection of Christmas tales for children. Old Christmas, taken from Washington Irving’s Sketch Book, is filled with entertaining sketches by Randolph Caldecott. 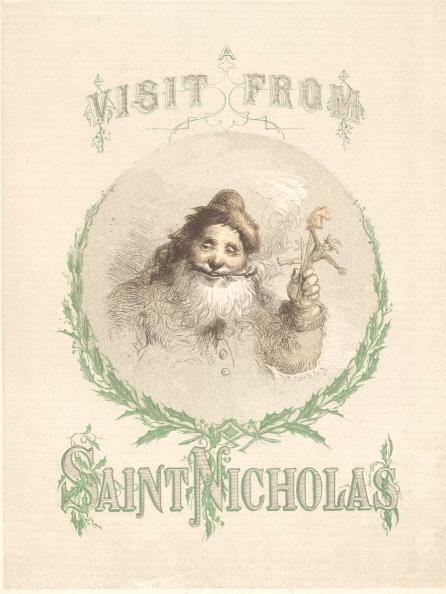 And here is the classic poem A Visit from Saint Nicholas — a.k.a. The Night Before Christmas — by Clement Clarke Moore, beautifully illustrated by F.O.C. Darley. Religious offerings include Ernest Renan’s excellent Vie de Jésus, also available in English as The Life of Jesus. For children, there is The Boyhood of Jesus by an anonymous author. Inspirational thoughts abound in A Christmas Gift, written “to the American Home and the Youth of America” by a Danish Lutheran minister. For those interested in the history of Christmas, there is The Book of Christmas, by Thomas K. Hervey, which traces the origins of various English Christmas customs back to ancient pagan winter festivals such as the Roman Saturnalia and the Northern European Yule. Or Christmastide, by William Sandys, which includes Christmas carols you can listen to. Christmas customs in different parts of the world are represented by several books, including Yule-Tide in Many Lands by Mary Poague Pringle and Clara A. Urann, and The Christmas Kalends of Provence by Thomas A. Janvier. Finally, for sly Christmas humor, check out A Christmas Garland, “woven” by Max Beerbohm. This is a 1912 collection of Christmas stories that are actually spot-on parodies of the styles of noted literary figures, including Henry James, H.G. Wells, Thomas Hardy, and G.K. Chesterton. Merry Christmas to all, and to all a Happy New Year!